Every year I host a Gaming in the New Year party at my place on New Year's Eve. This year was no exception. 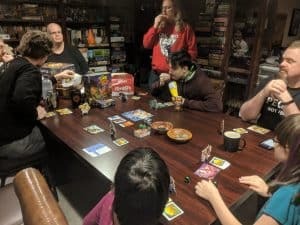 I have a group of my friends over and we play games through the night and early into the morning. We take a short break for pizza but basically it's about 12 hours of non-stop gaming. 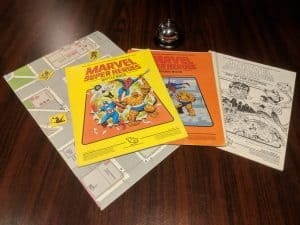 For today's #ThrowbackThursday I'm taking a look back at a classic review of the Marvel Super Heroes "Yellow Box" from TSR. This review was originally published on July 3rd 2011 after I dusted off my copy of TSR Marvel and ran a game for some of my friends. 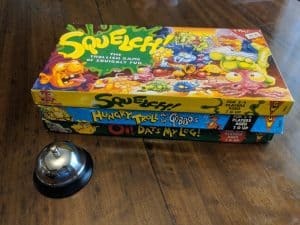 The big thing that happened this week is I had an afternoon alone with Little G and we played some classic Games Workshop games. 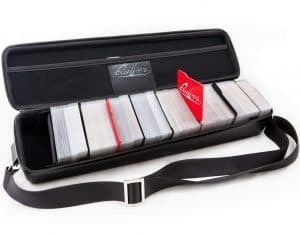 Dominion is known as the grandfather of Deck Building, one of the most popular game mechanics out there. 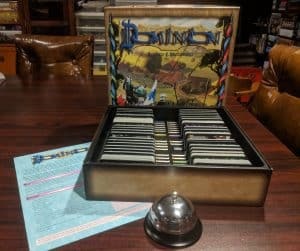 I first reviewed Dominion back in 2010, when it was still The New Hotness. I think it's time we take a look at that review as part of #ThrowbackThursday. 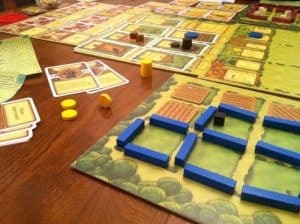 A question about Settlers of Catan was the first question I ever answered here on the blog. Our first ever podcast episode was all about Catan and the various editions and expansions. You could almost say The Tabletop Bellhop started with Catan. 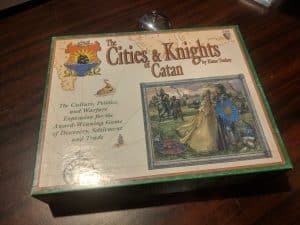 That's why I'm bringing back this classic review of Cities & Knights of Catan for #ThrowbackThursday. We have been teasing our latest giveaway for a while, on the blog, the podcast and even in our newsletter. The wait is over, here is my review and giveaway of a Quiver from Quiver Time. Everyone that reads this blog or tunes into our show should know my feelings on hidden role and social deduction games. It's interesting to know that I didn't always feel that way. 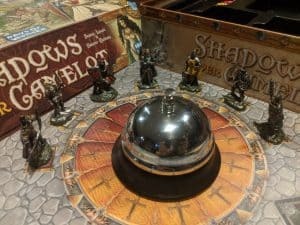 Like back in 2006 when I reviewed Shadows Over Camelot and through it was the best cooperative game I'd ever played. Let's take a trip back in time for #ThrowBackThursday and check out that happier time in my life. Last week I took a look at Power Grid. Which at one time was #1 on BoardGameGeek. This week I take a look at another game that was once the number one game in the world. That game is Agricola. Each #ThrowbackThursday I'm taking a trip back in time, bringing back a review I wrote many years ago. 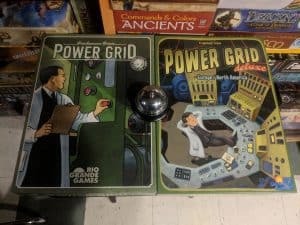 Power Grid is a well known board game. Almost as well known as Catan. It was originally released in 2004 and I first played it in 2006. Today I'm going to bring back an old review I wrote back then. Have my thoughts changed? Did I love it then and do I still love it now? Here at Tabletop Bellhop I'm dabbling in review necromancy. Each #ThrowbackThursday I'm going to bring back something I wrote in the past and re-publish it. By The Power of Grayskull! 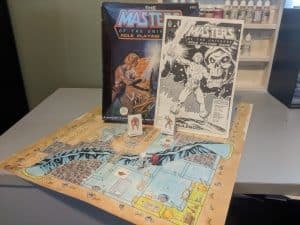 I resurrect an actual play review of The Masters of The Universe Role Playing Game by FASA that I wrote back on July 5th, 2013.